When I’m studying the Hebrew months I look for goodness and hope… for something that encourages and causes me to grow higher in Him. Each month was given by God with a unique purpose and is designed to release a blessing of revelation of His goodness into our lives. I pray that my study of this month and this season gives you fresh hope of the goodness of God and all that He has for you. Tonight we enter into not only a new month on the Hebrew calendar, Tevet (Dec 13th – Jan 10th).. but also a new season, Winter. Winter is the season to plan for increase in the next season. Tevet is the 10th month on the Hebrew calendar… 10 is a number of divine order … 10 is also 5 + 5… five being the number of grace or in this case a double portion of grace. This month walk in the double portion of grace available for you… choose to walk in the fullness, in the grace that Jesus made available for us. He paid it all so that you could have it all! It’s a free gift (Eph 2:8). The first two letters in the word Tevet is “tov” which is the Hebrew word for good and it is followed by the letter tet which is also a letter connected to the word good…. so the word Tevet from beginning to end is a word full of God’s goodness. While I LOVE the Christmas season, I realize not everyone enjoys it. It can be a time of bitter disappointments, sadness over loved ones gone, rejections of family members, depression, etc. It can also be a financially stressful time for many. But in this month of Tevet, let’s declare it as a month of God’s goodness from beginning to end.. allowing Him to lavish us with His goodness, His grace, and His favor. Tevet is also connected to the Hebrew letter “ayin”. Ayin means the eye. This month purposely choose to see things through the Father’s eyes. Seeing circumstances through the eyes of faith and hope… and seeing others through the eyes of love, grace, and redemption. 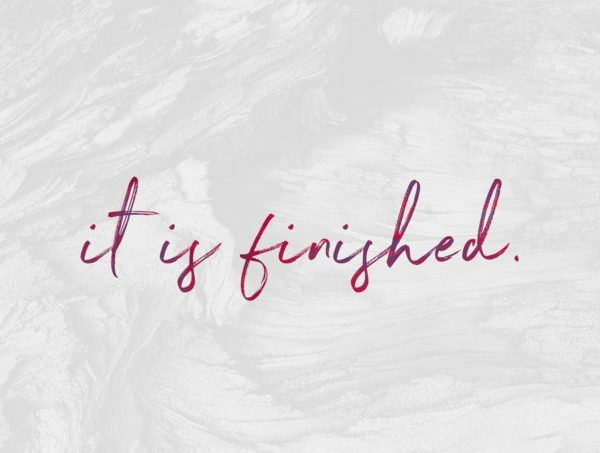 Read the scriptures through the lens of the finished work of the Cross and the Resurrection… it will change how you read it! Each month is associated with a tribe of Israel. The tribes were divided into four groups of three. This Winter season included the three tribes: Dan (the leader of this group), Naphtali and Asher. They formed the “rear” guard of the camp and were the ones to watch out for the enemy attacking the camp from behind.‭ ‬These three formed the rear guard, not because of military skill but because they brought the glory of God. They were the most creative of the tribes… Dan were skilled craftsmen in all kinds or artistic work, Naphtali brought forth beautiful words, and Asher caused the land to flourish. This Winter season let’s understand that His glory is our rear guard (Is 58:8)…. knowing that we are His most artistic work, and He is speaking over us such beautiful words and causing us to flourish in the land. Let’s judge correctly this month… soaring on wings of eagles and judging things through God’s eyes of love and mercy…..of goodness….. of grace. May this season be full of the goodness of God, full of His glory (Ex 33:18-19)…… Merry Christmas (Celebration of Christ) from our family to yours! This month I look at my circumstances through my Father’s eyes… eyes full of faith and hope. This month I walk in an abundance of grace….. grace upon grace! This month I see others through the eyes of love, grace, and redemption… seeing them as the Father sees them. This season, God’s glory is my rearguard… I am His most artistic work, He speaks over me with beautiful words and causes me to flourish in the land. This season, I soar in the Spirit and get the Heavenly perspective on things. This season I judge correctly… judging things through God’s eyes of love and mercy, of goodness….. of grace. thanks Marilyn!!! Love you… your feedback means a lot! !